Rich Leonard for NH State Senate has his new website up and running to get information out to everyone about where he will be, what he stands for, and to help everyone communicate with him. Take a look and follow him on Facebook and Twitter if you have not already. 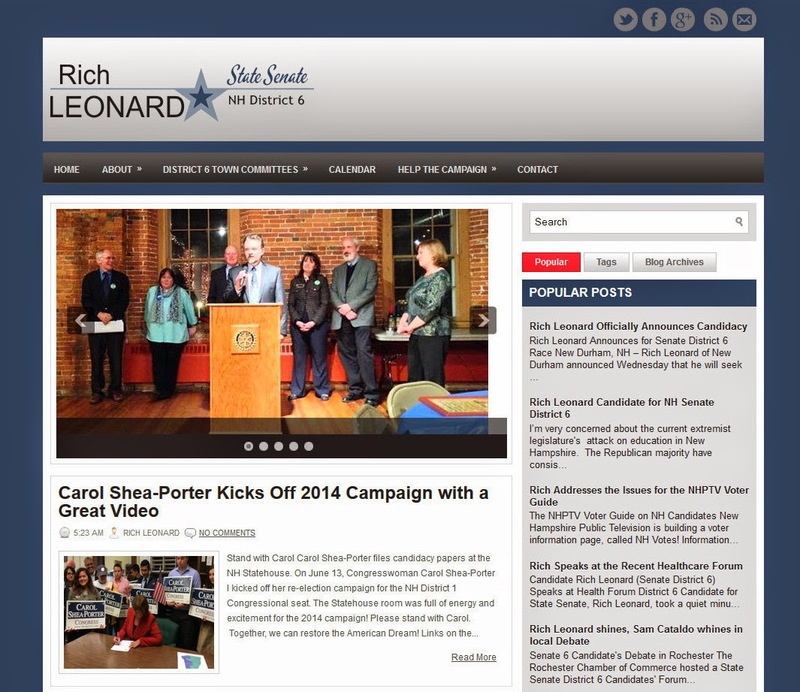 Rich will be a much better advocate for the people of District 6 than Sam Cataldo could even think of being. Please show Rich support by volunteering or consider making a secure donation.